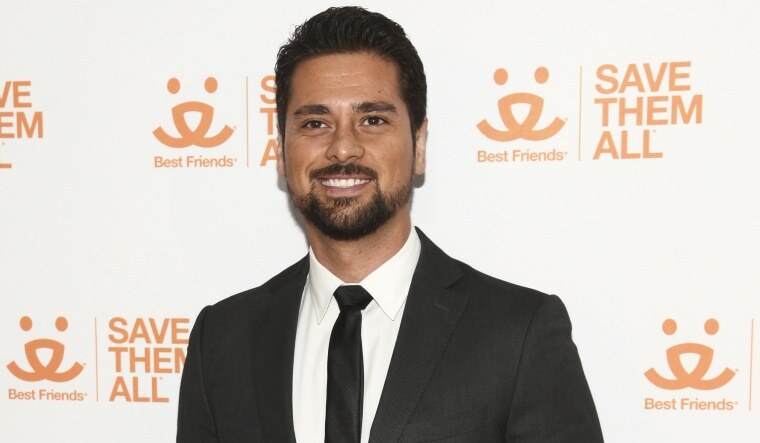 J.R. Ramirez says all it took was reading the script of the new NBC drama “Manifest” to know he wasn't passing up a chance to play a complex, Latino character on screen. Ramirez, 37, plays a detective, Jared Vazquez, in the series, which follows 191 passengers aboard a plane that is presumed lost at sea until it lands in New York City — five years later. Vazquez moved on with his life after the disappearance of his fiancée on the plane and then grapples with being torn by her return. “[Jared] is kind of heroic in a sense and it’s nice to represent my people in a light that sheds something other than we’re used to,” said Ramirez. “I saw a lot of comments from people praising my work, but still upset I was playing these stereotypical Latino roles. To be honest with you, they were both roles that were grounded in humanity. These character were very complex,” he said. The actor sees the changing model of media as an opportunity for more Latinx representation in television and film. “I feel like Hollywood is, slowly, starting to change the vision of what it is to be Latino and represent us properly in Hollywood," he said. "Every series now you see Latinos." Ramirez said that many of his acting friends in L.A. who are white tell him they can't seem to get a role because "it's all going to ethnicities." "I say, coño, (damn), it’s about time, now you see how we feel,” Ramirez said with a laugh. The actor credits his rise in Hollywood to the support and drive of his family. He was only three months old when his parents left Cuba and settled in Tampa, Florida. “My parents were able to sacrifice leaving their families and bringing me here and the dangers of all that, to be able to give me the freedom to do whatever I want or need with my life,” says Ramirez. Like so many immigrant parents, Ramirez’s mom and dad had dreams that their only child would study medicine, like many of their relatives in Cuba. But the actor went in a different direction. After trying his hand at business school, he struggled to find his path before landing small jobs in modeling and commercials. That led to his move to Los Angeles, where the actor has worked for the past 14 years. “It’s very challenging getting a lot of no’s and rejection, you really need to love what you do to be in this business and I owe a lot of that to my parents,” said Ramirez. As for his parents’ dreams of his medical career, Ramirez says he’s got it covered.